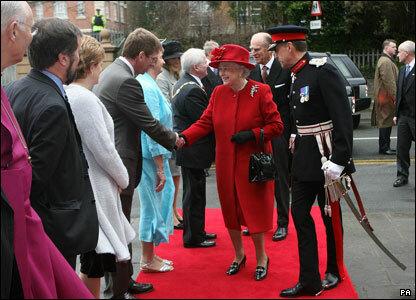 Queen Elizabeth is greeted by local dignitaries as she arrives at the Royal School Armagh. 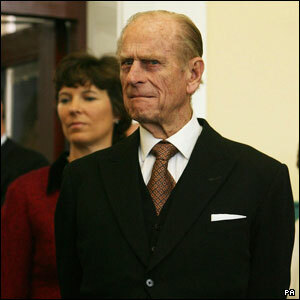 The Duke of Edinburgh accompanied Queen Elizabeth on her visit to the Royal School Armagh. 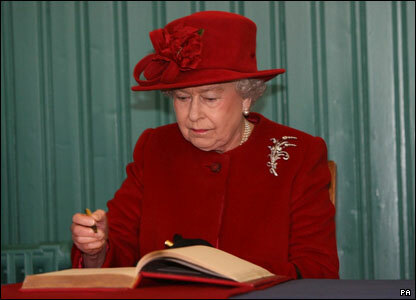 The Queen signs the visitors' book at the Royal School Armagh. 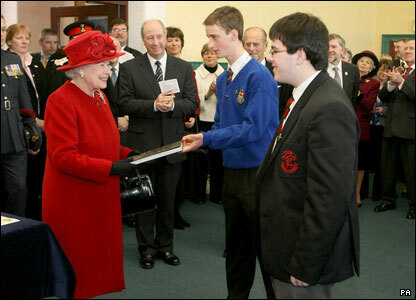 Stuart Dean presents the Queen with a history of the Royal schools. 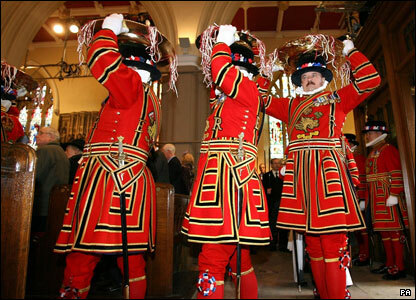 Yeomen of the Guard carry the Maundy money into St Patrick's Cathedral. 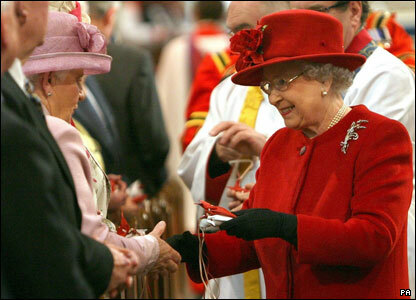 Eighty-two men and 82 women received Maundy money from the Queen. 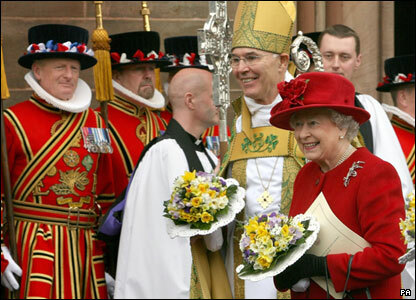 The Queen shares a joke with Archbishop of Armagh Alan Harper as she leaves St Patrick's Cathedral. 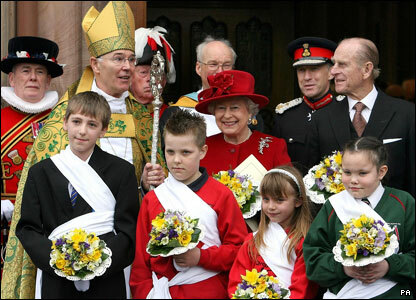 Yeomen of the Guard look on as the Queen leaves St Patrick's Cathedral. 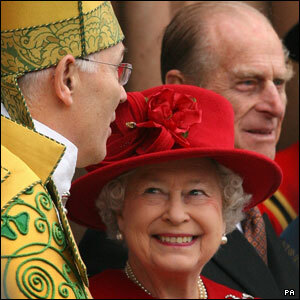 The Queen poses for a photograph with Archbishop Alan Harper and Prince Phillip after the Maundy service.